Yveline Loiseur’s Grand Air (2007) endlessly repeats a pattern based on an architectural model, one of whose minute details she photographed and assembled in the form of a polyptych. She manipulated the original print to draw it in the direction of abstraction. Produced on a grand scale, the work blends in with the surface of the wall on which it is mounted. On the border between ornamentation and photography, it offers a totalizing visual experience that is closely associated with the exhibition space. Work presented for the first time in Canada. Yveline Loiseur was born in 1965 in Cherbourg, France. She lives and works in Lyons, France. Using empirical subjects drawn from daily life, Yveline Loiseur explores the spheres of urban space and the family. In her photographs, documentary approaches are closely linked to formal staging. Her series, close to the bone of the figures featured in them, combine the experience of the snapshot with studio reconstructions made of various materials. With Grand Air and Quartier libre (2007), a minute detail of a miniature structure is isolated, to be subsequently reproduced in quantity and on the grand scale of a wall. Beyond her use of the camera, Loiseur manipulates the basic qualities of the photographic medium: its flatness, size, and reproducibility. She also makes use of omission and reframing, giving us partial views of the body or space. Loiseur’s project La Vie courante (2002–06) followed a long process of notetaking and making photo sketches that resulted in reconstructions without departing from the initial aspects of daily life recorded in them. With her constant attention to detail and micro-events, she has produced a body of work rooted in experience, one that takes the form of inventories or series detailing children at play, innocuous scenes, and domestic interiors. Like La Vie courante, her other works query the peripheral genres of family and class photographs, enabling her to compile a typology of the picturesque. 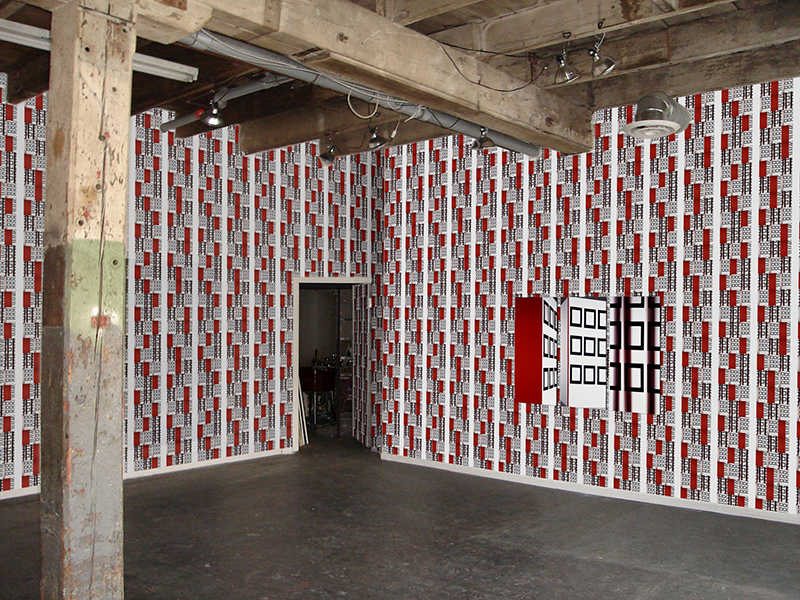 Yveline Loiseur’s work has been featured in various solo shows (Hors Circuits, Transphotographiques 5, Lille, 2005; Les Villes invisibles — Dresde, Institut français de Dresde, 2008). She also took part in the exhibitions La Région humaine (MAC, Lyons, 2006) and Enfance — Purpose Projection 4 (La Villette, Paris, 2008). Yveline Loiseur, Grand Air, 2007. Photomontage. Courtesy of the artist.